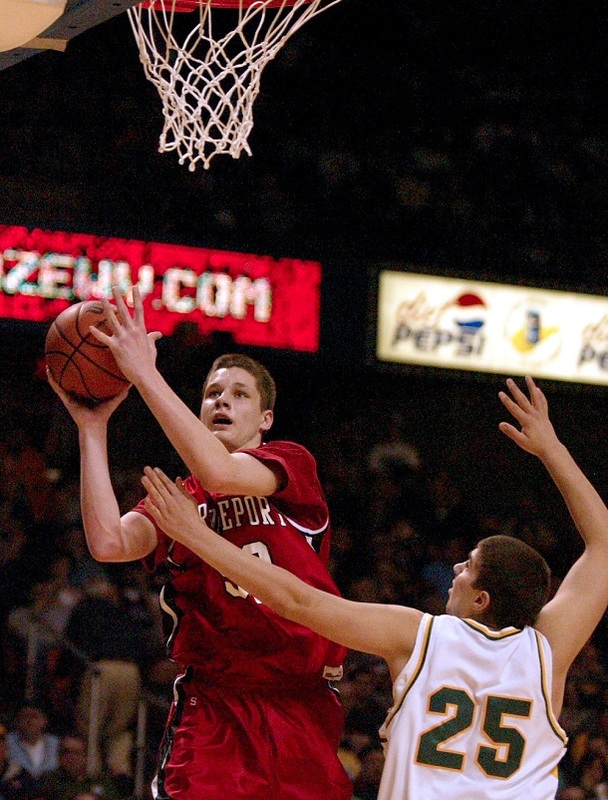 There have been many great Bridgeport High School basketball teams over the years. More than one, in fact, have won state titles. I bring that up because, in the spirit of debate, there’s always the question of what was the greatest team in BHS basketball history. Of course, for a certain percentage of fans the debate can only include those two state championship teams because they believe only those that finish in the winner’s circle can be considered for debate. That’s reasonable, even if I don’t necessarily agree with the argument. I digress. For those that don’t remember, in 1993 a team led by Matt Kerns and Russ Sickles went 21-4 and beat Oceana by a 59-50 score in the Class AA title game for Bridgeport’s first title. Less than 10 years later, in 2001, the Vince Veltri-paced Indians peaked at the right time to finish the year with a 20-6 record and topple Tug Valley by a 68-57 score in the championship contest. While my basketball history only goes back into the mid-1980s when guys like Mark Dudley, Brian Ayoob, Jeff Preston, Josh Peasak, Matt Duez, Billy Reep, Mike Spencer and others perhaps better or not as good were manning the red and white uniforms, I have seen plenty of really good BHS basketball teams. Many, I believe, could have competed with the state championship teams. Does that mean they’re better? You can argue all day whether Scott Hartzell’s teams would have been dominant in a head-to-head showdown. Even though I was still years from entering school, you could probably argue that Chris Sprenger’s teams could be called the best or some before I was born. Heck, take some of the Bryant Irwin-led squads that competed in Class AAA or Mike Robey’s teams from the last several years and put those units up head-to-head against any other squad and I think you’d have a battle. There’s one thing for sure, it doesn’t really matter. It would all be speculation and only the 1993 and 2001 teams can say they finished their seasons as the best. While you can debate that, I’ll make an argument that I think isn’t up for debate. The debate centers on the best team that happens to be the unluckiest team when making a run for a state championship. And by unlucky, I don’t mean a team that suffered a key injury or had a player transfer or move out that put a dent in the Indians’ chances. Rather, I’m talking about a team I watched that had it all. They had size, they had smarts, they had shooters, defenders and chemistry. What they didn’t have was the luck to put that team on the floor in the right year that I believe in most seasons would end in the winner’s circle. 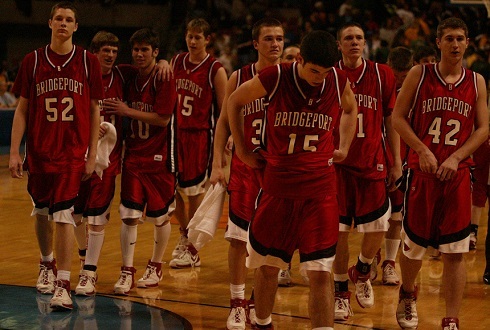 By that, I firmly believe Bridgeport High School’s 2006-2007 squad coached by Gene Randolph and assisted by Dennis Hutson could have won the Class AAA state title with that team if it had competed in any other year. Is that a certainty? Absolutely not. Here’s what is. In any other year, that Bridgeport squad that finished the year 20-4 would NEVER have lost a Class AAA semifinal game by 39 points. I’ve done zero research on this and I feel very comfortable in saying that no BHS boys’ basketball team has ever lost a state tournament game by nearly 40 points. If I’m wrong, it doesn’t impact my argument by one iota. For those that don’t remember, that year the Indians actually started out with a 1-2 record with losses to rival Robert C. Byrd and University. It seemed like the buzz for the team was gone that started well into the preseason with an Indians roster that featured Division I prospect Bryant Irwin. As it turned out, things suddenly got right with the squad. The team won 19 of their next 20 games, including a sectional win against an RCB squad that was also a dominant ‘AAA’ team at the time. The Indians had more than just the 6’7 Irwin, who ended up signing with St. Joseph’s in Philadelphia before ending his career at Furman. 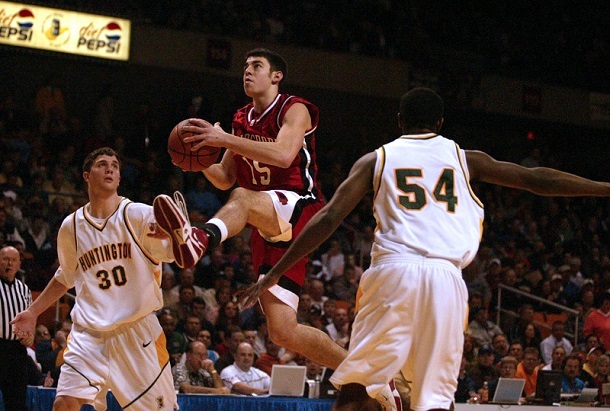 The team had one of the most versatile all-around players ever in forward Thomas Izzo who played basketball for the Merchant Marine Academy after high school. The club also had the services of two deadeye long-range shooters in Ryan Powers and Logan Ash and one of the best and fastest pure point guards in Derek Gilbert. Few starting fives could match that talent. In the quarterfinal round of the state tournament, the Indians faced off against a Jefferson squad that was considered one of the top four teams in the state and the Indians got past them by a 64-61 score. Certainly, a showdown was in store for the semifinals. What was actually in store, unfortunately, was Huntington High School. This wasn’t your typical high school squad and they proved it by beating the Indians 98-59 in a game where BHS never led and, I believe, was down 17-0 to start the game. Here’s the thing: that was the closest anyone came to the Highlanders in the postseason. They ended up winning the state championship by a 103-61 score over South Charleston. Quite simply, Bridgeport High School ran up against what easily can be argued the greatest high school team in any class, in any year in the history of West Virginia boys’ basketball. As a reminder, Huntington didn’t just have Division I prospects on the roster. The team had NBA players on the roster. Right now, Huntington 6’8 forward Patrick Patterson is playing for the Oklahoma City Thunder after a career at the University of Kentucky. Guard O.J. Mayo and his 6’5 frame went to USC and played several years in the NBA with multiple teams before being dismissed by the league for violating terms of the NBA’s anti-drug program. They also had another Division I player in 6’8 forward Chris Early. Early signed with Oklahoma before eventually going to the University of Tennessee at Chattanooga where he played up to his senior year before being dismissed from the team. Huntington had other players on the roster to that played small college ball. They had another 6’6 player starting at center (Bruce Senior) that allowed Patterson and Early – who came off the bench mind you – to play away from the basket if needed and they had a 6’5 center (Lambros Svingos) coming off the bench. Their guards were exceptionally fast and played lockdown defense. The team had not one, but three major Division I prospects and two NBA players produced. And they were all home grown – even though Mayo returned home for his senior year. Bridgeport wasn’t going to beat that team. Sure, Huntington lost one regular season game to an in-state foe. And sure, Chaminade once beat Virginia (Google it), but with the bright lights on and a state title on the line it wasn’t going to happen. I still remember being approached by a BHS Coach of another sport prior to the game and they asked me if Bridgeport had a chance that day. I explained, as best and politely as I could, that they had the only chance that day because they were the only team playing Huntington. The coach said, “What do you mean?” It was then I said that I didn’t think there was any way BHS could win, under any scenario or under any set of circumstances. This came after Huntington had dismantled their opening round foe by 50-plus points. While the coach was perturbed, they later came up to me on press row and said, “I guess you were right.” I took no joy for one of the rare times I was correct. There have been many games I’ve covered involving BHS and in year’s past, other teams, where I didn’t think they would win, but felt if multiple things went the team I was covering’s way, something could happen. I woke up that day knowing Bridgeport’s season was over. The walk to the Civic Center didn’t change it and neither did watching pre-game warmups and learning that the 6’8 Patterson was battling stomach flu. Honestly, it didn’t matter if it was BHS or any other team. They were going to lose. To this day, I’ve always wondered what that team would have done in any other year. To me, they were easily amongst a group of two or three teams that could be considered the best in the state that year – minus Huntington. Again, I’m not saying they’re the best team in BHS history. I am saying, at least in my mind, there’s never been a better team that had no chance of winning a state title – and that in my mind makes them the unluckiest dominant team ever. Editor's Note: Top photo is of Bryant Irwin, while middle picture is of the team leaving the floor after the setback. Third photo shows Thomas Izzo splitting two HHS defenders, including Patrick Patterson (54). 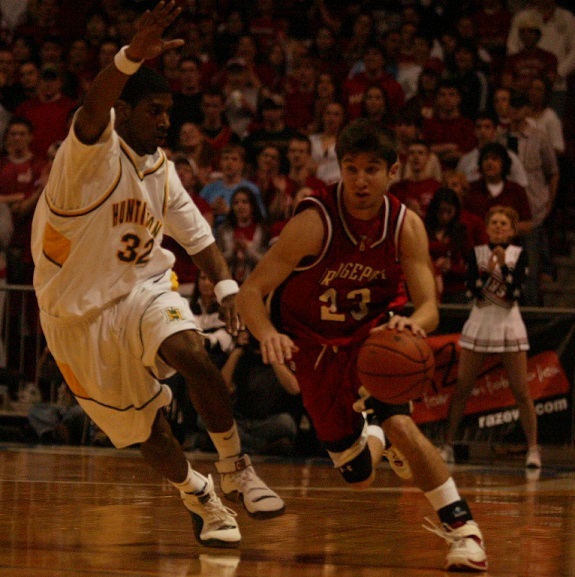 In the third photo point guard Derek Gilbert drives past O.J. Mayo, while the team's 2006-7 record is shown at the bottom. All photos courtesy of the BHS Journalism Department under the guidance of Mrs. Alice Rowe and taken by Kendall McCaugherty.